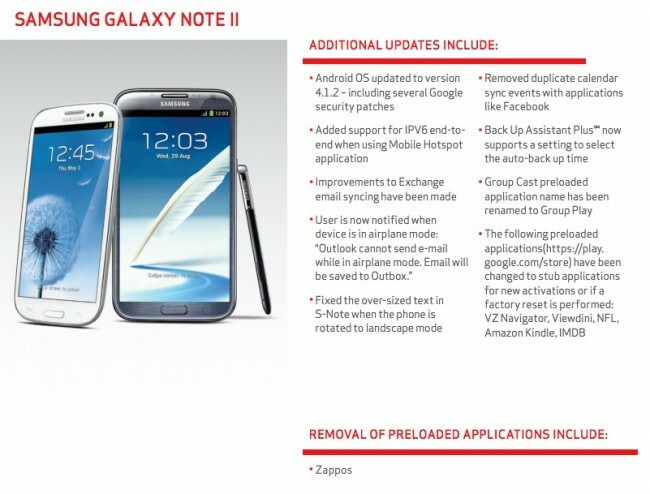 Looks like a mystery update is being sent out from Verizon to owners of the Samsung Galaxy Note 2. The new build number is I605VRAMC3, but without Verizon posting an updated PDF with the changes, it’s hard to tell what’s new. If you spot something right off the bat, let us know. Update: The support PDF has updated and it’s massive. The big change is that the Galaxy Note 2 is now running Android 4.1.2, but you’ll see that a nice list of apps have been updated to support Multi Window on the device. 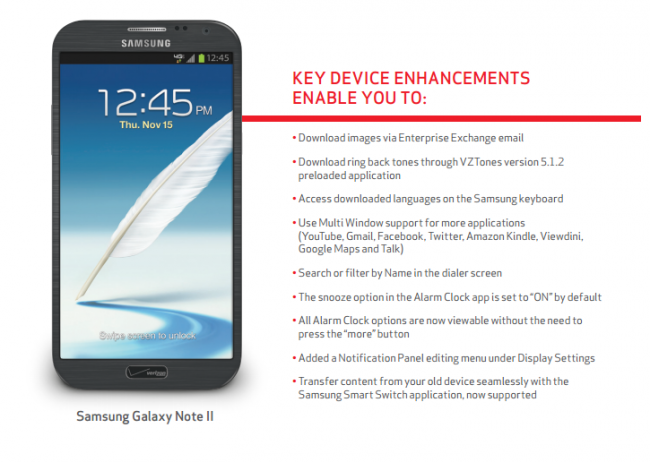 The update also includes support for Isis Mobile Wallet, fixes alarm clock issues, and added notification panel editing menu in Display Settings. Check below for the full details. The update is 246MB in size. Cheers Ben, Jacob, Gfacekilla, Steve, and Antonio!